In the wild, birds have the opportunity to look for plants to heal and nourish themselves as soon as it starts to feel unwell, enabling them to stop illness as soon as it arises. Captive birds do not have this opportunity and by the time the bird is showing signs of illness it is sometimes too late to save them. Zoopharmacognosy (zoo = animal, pharma = drug, cognosy = knowing) commonly know as self selection is the term used for this innate ability that animals have to recognize which plants they need in order to heal themselves. By enabling our own birds to exercise this innate skill in captivity is a crucial step in healing and maintaining health and emotional well being. We owe it to them as their guardians and custodians to improve the quality of their life by using this holistic approach. 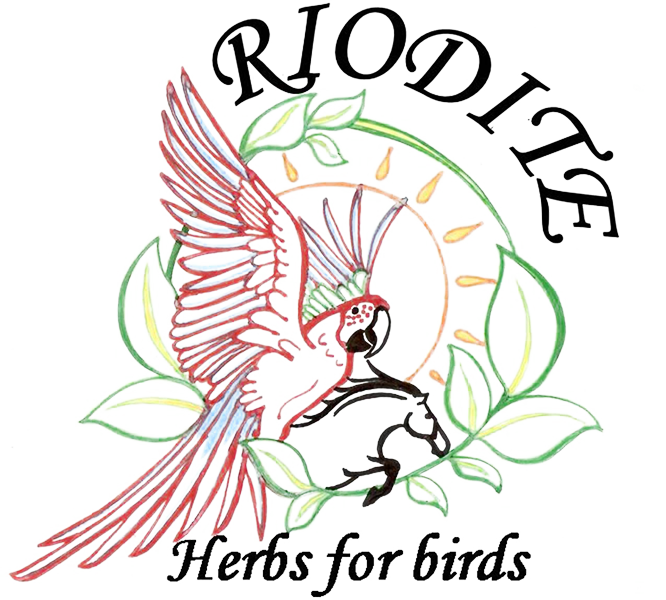 Riodite Herbs for Birds is a small business based in Shropshire that aims use our knowledge and love of birds to help as many people as possible provide a healthy and nourishing diet to theirs.